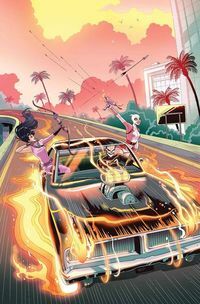 Four comics reviewed this week and all are team-ups! Remember these are only a few comics that came out THIS WEEK! Check out our other blog articles so see our thoughts on other comics. Be sure to comment or share our post on Facebook or Twitter if you like our articles! Escape from the Phantom Zone Part One kicks off an arc that I’ve been dying to see since Rebirth started. A Barbara Gordon and Kara Danvers team up. The concept is simple. The Tychotech company in National City is unveiling a new clean energy concept to the world. As Supergirl, Kara has been invited due to her attachment to the technology used. Of course, something goes wrong and the machine goes haywire sending Barbara’s friend Ben into the Phantom Zone. 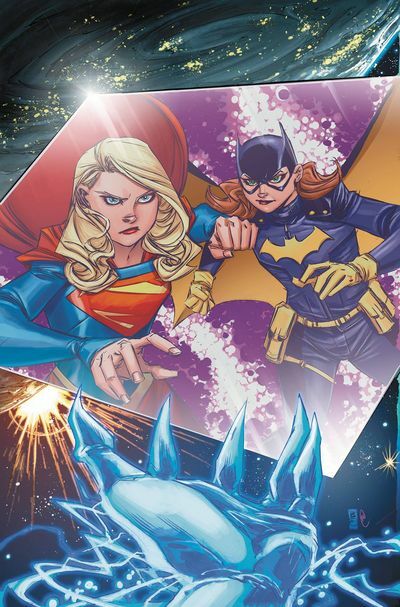 Naturally, Batgirl and Supergirl head into the Phantom Zone to find him and get him out. MISSED OUT ON THE FIRST 6 SUPERGIRL ISSUES? PICK UP VOL 1 AND GET CAUGHT UP! Since the beginning of Rebirth, Titans has always stood at the center of it all thanks to Wally West, the one hero who kickstarted this whole event. 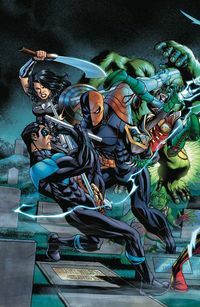 With Titans #11 and the first chapter of The Lazarus Contract, Wally and the rest of his team find themselves set to change the DC Universe yet again. Like all great Titans stories, Titans #11 centers on Deathstroke, who seeks to bring his son back from the dead. Slade believes the key is through Wally West and time travel, which could have potentially devastating effects on the already fragile state of the universe. In particular, the last page of this comic will shake things up in a big way for both the Titans and Teen Titans. DON’T MISS AN ISSUE OF THE LAZARUS CONTRACT! Weird team-ups! Hijinks! 4th-wall breaking! It’s all here in The Unbelievable Gwenpool! This whole series is nothing but obscure adventures and breaking the 4th-wall, and no surprise, it’s been awesome. Gwenpool’s friend is trapped is a gem, and she’s working with Hawkeye (Kate Bishop) to help free him. Well, first she’s got to get her friend back from Ghost Rider, then save him from the dwarves that want the gem. Then, she has to somehow get him out, all while Ghost Rider does his thing and Kate Bishop a.k.a. Hawkeye, just shoots arrows. i>Secret Empire #1 revealed a shocking truth about the state of the Hydra-controlled world: Inhumans were being rounded up into camps. While this is only touched on briefly in that book, Secret Warriors #1 dives headfirst into the subject. 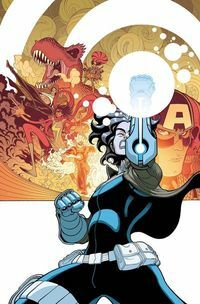 Writer Matthew Rosenberg assembles a dream team of Inhumans for this latest incarnation of the Secret Warriors, including Ms. Marvel, Moon Girl and Quake. The comic features equal amounts mystery, suspense, drama, and action, and Rosenberg nails all of it. Artist Javi Garron does a fantastic job bringing the characters to life. CHECK OUT ALL OF OUR INHUMANS BOOKS!